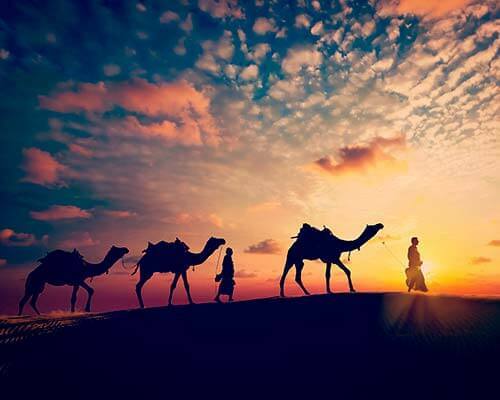 Pushkar Mela 2018: All You Need To Know! 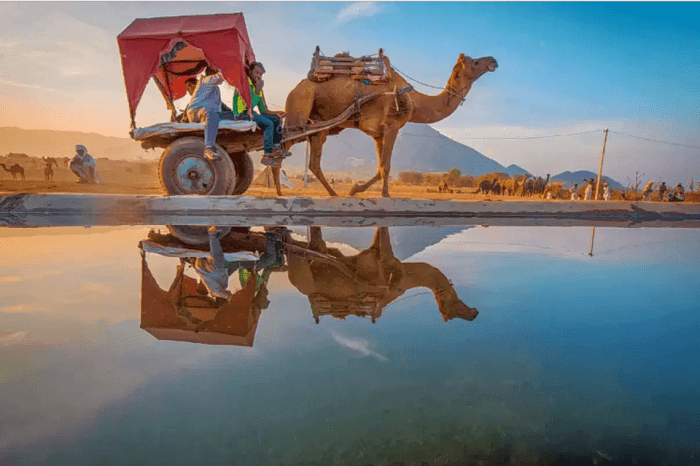 Pushkar Mela 2018: Everything You Need To Know About The Most Gorgeous Fair In India! With multiple reasons for why you should attend the Pushkar Mela Rajasthan at least once in your life, here’s all the essential information about this popular fair, what’s different in 2018, and why you need to book your Rajasthan trip right away! 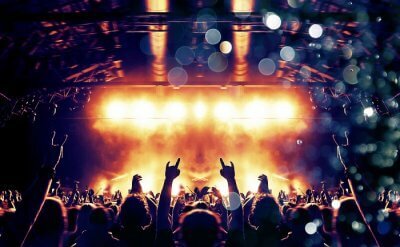 What is the schedule of the Pushkar Fair 2018? 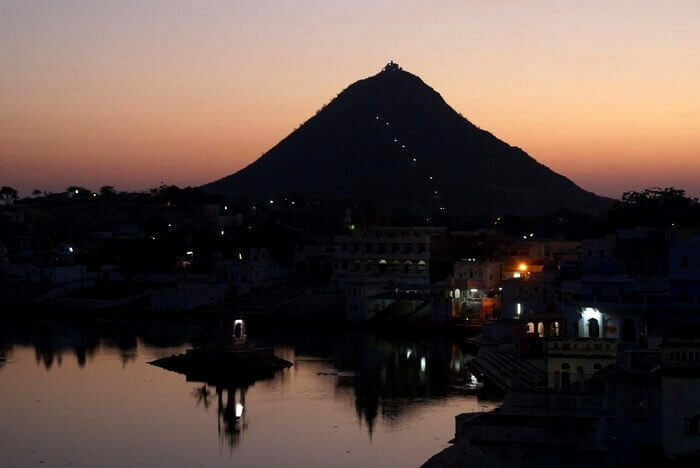 The famous five-day fair is being held for nine days this year, and will begin with a Harmony Marathon from Dargah Shareef in Ajmer to the Brahma Temple in Pushkar at 6:00 AM on day one. This zeal-filled run is a great initiative for celebrating the uniqueness of the incredible state of Rajasthan, and you can be a part of it too. What are the highlights of the Pushkar Fair 2018? 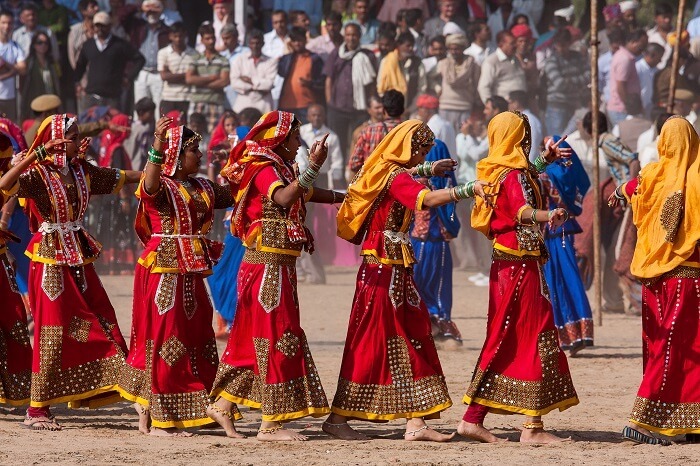 What are some of the top things to do at the Pushkar Fair? Set up by rural artisans, the Shilpgram is a great stop to buy souvenirs and take memories home from the fair. 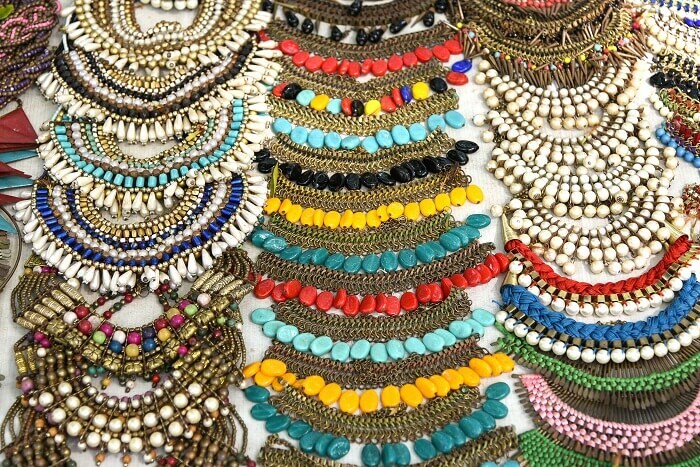 From traditional handcrafted jewelry to gorgeous paintings and classic leather ware to pretty puppets, there is a lot you can buy from here. 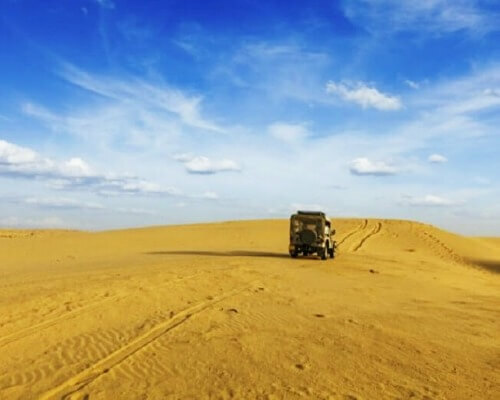 Enjoying an aerial view of the fair from a hot air balloon flight, indulging in Paramotoring, quad biking, and taking a camel safari are some of the best ways to calm the adventurer in you while you’re soaking the warmth of the desert. 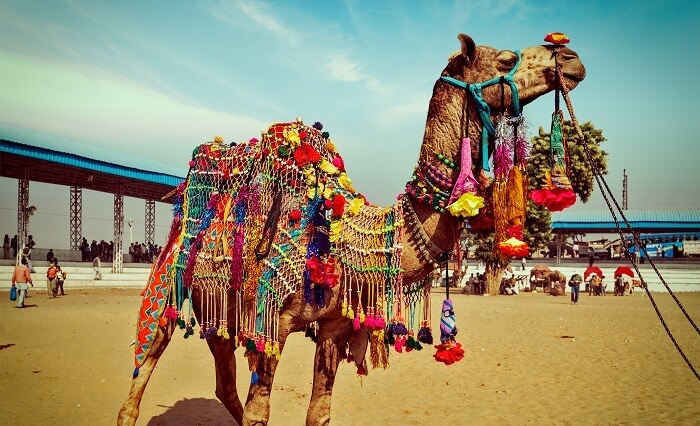 Get ready, hop on, and explore the city while you’re at the Pushkar Camel Fair 2018. 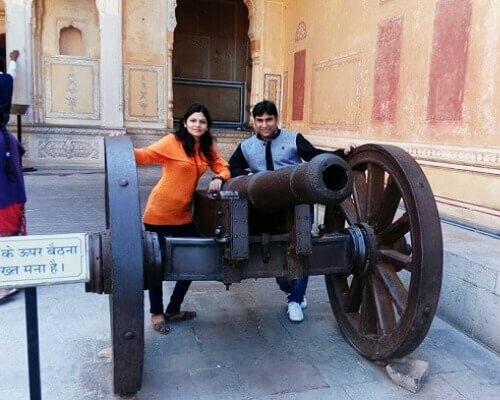 The cost of these activities range from INR 2, 000 to INR 16,000, and are undoubtedly a few must-have experiences when you’re in Rajasthan. If you’re a photography enthusiast at heart, it’s time you let the world see your talent and win a prize for it as well. 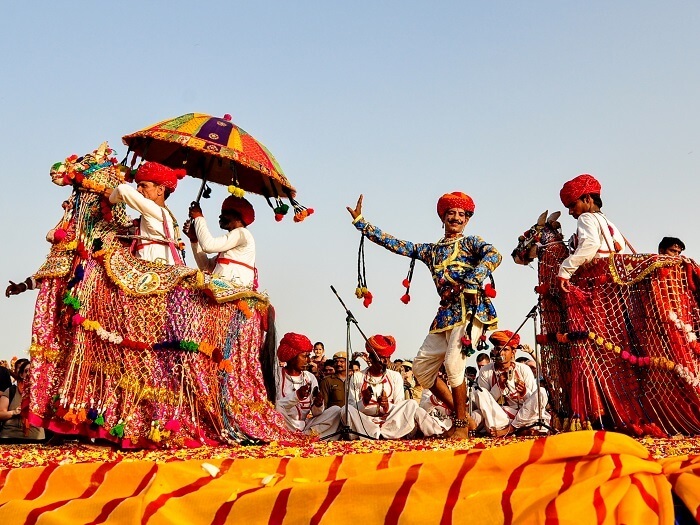 Of all the things to do in Pushkar Mela, participating in ‘Frame The Fair’ being organized by the Rajasthan Tourism and E Factor Entertainment is one thing you must definitely do! 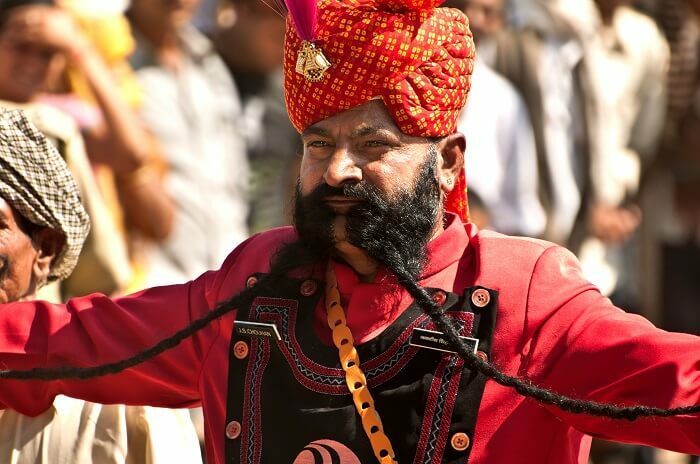 From competitions like Mustache Contest to Matka Race, and Camel Dance to Bride & Groom Contest, there is a long list of events happening throughout the Pushkar Mela. Apart from just witnessing them from a distance, you can also participate in them and make unforgettable memories. While everything at the fair might look too expensive, know that it’s definitely worth a try, especially the local cuisines like Dal Bhaati Churma. 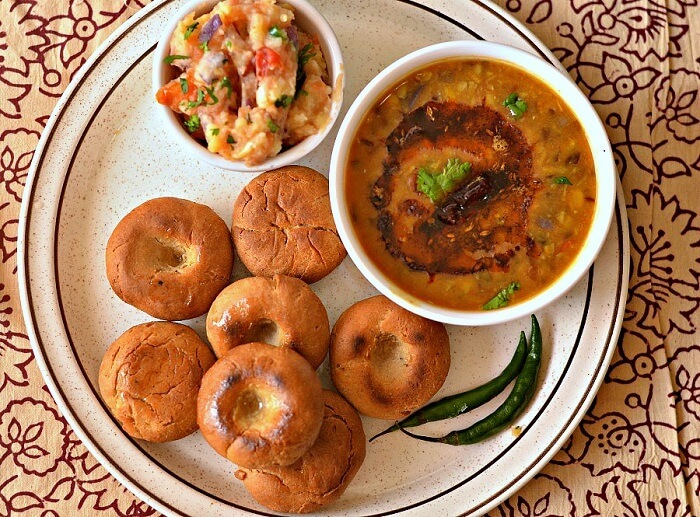 It’s the best time to indulge in the food specialities of Pushkar, and you can relish it throughout your trip. 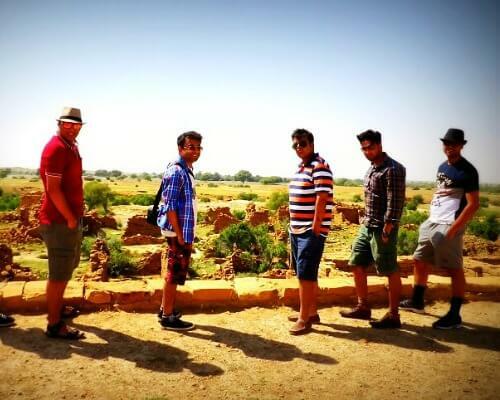 Which are the best Pushkar Camel Fair Accommodation options? 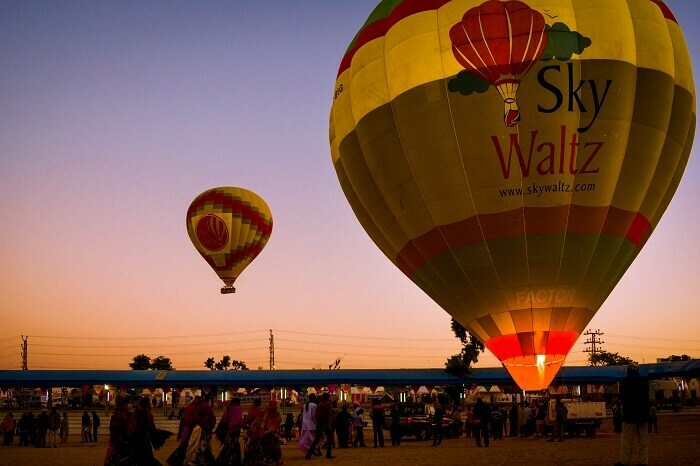 There is no doubt that the best accommodation at the Pushkar Fair are the traditionally styled camps wrapped in modern luxury, which can be availed via The Sky Waltz Camp. From deluxe non-AC camps to luxury AC camps, a stay here will cost around INR 10,000 and INR 13,000 respectively. 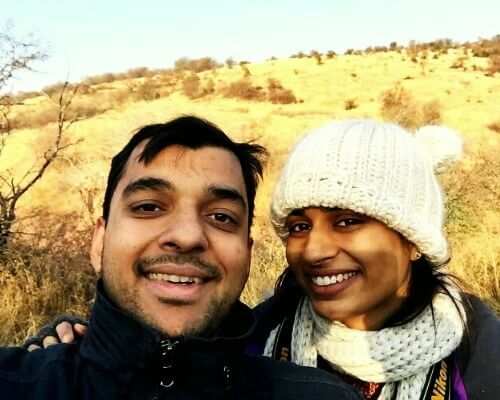 Apart from accommodation, the package includes all the meals at the camp, local transfers to the Pushkar Mela ground, VIP seats for the evening concerts, and more. Apart from Sky Waltz, Camp Bliss also offers luxury tents near the fair in a peaceful gooseberry orchard and offer a magical experience with camps priced around INR 29,500. 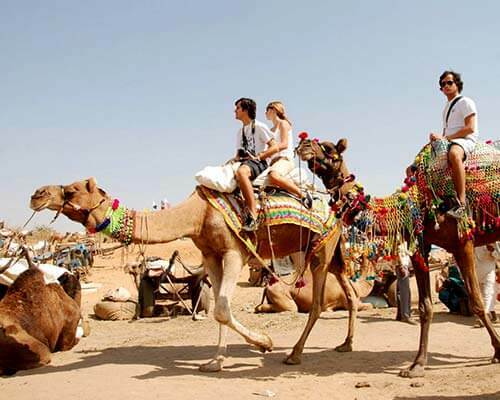 How To Reach The Pushkar Fair? 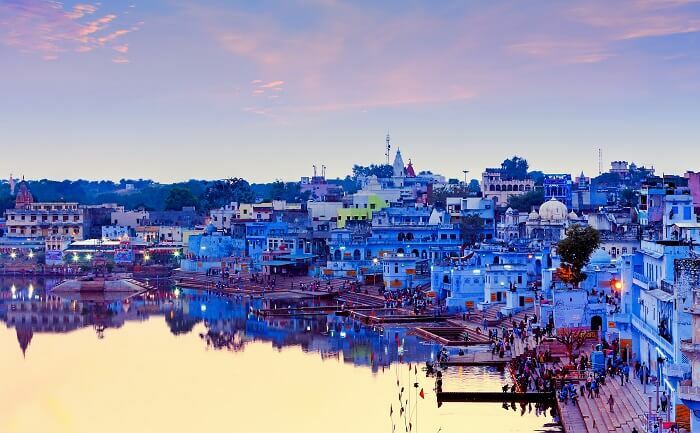 Situated in Ajmer, Rajasthan on the shores of Pushkar Lake, the town is easily accessible by all modes of transport. Connected to all the major cities like Delhi, Mumbai, and Kolkata, Sanganer Airport in Jaipur is the nearest airport to Pushkar. Upon reaching the airport, you can take a bus or hire a cab to cover the distance of 146 kilometers to reach the town. 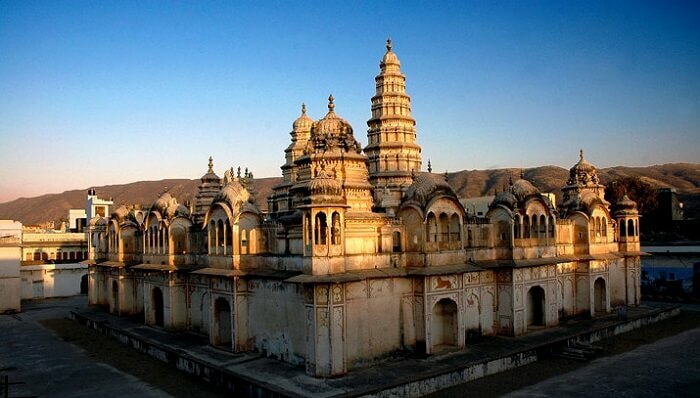 The closest railway station to Pushkar is Ajmer, which is located some 11 kilometers away from the town. 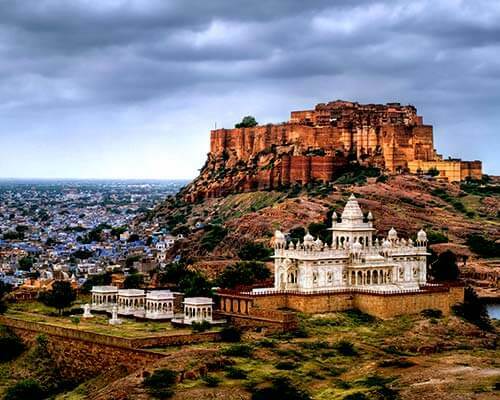 If you’re traveling from Delhi or Jaipur, you can take the Shatabdi or the Pink City Express to reach Ajmer from where you can take a taxi to reach Pushkar. Connected to major roadways and highways in India, Pushkar can be reached easily by taking any regular bus from Ajmer, Indore, Jaipur, and Nagda. Or you can also take your own car and drive directly to this vibrant town. 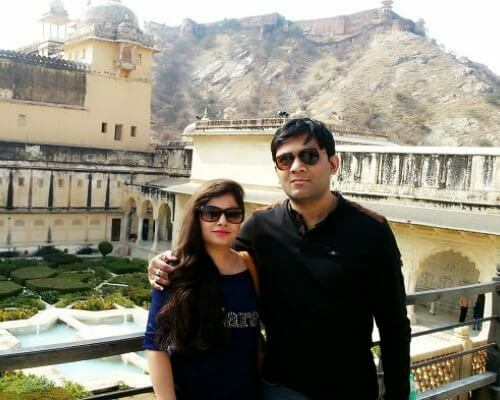 Which Are The Other Best Places To Visit In Pushkar? 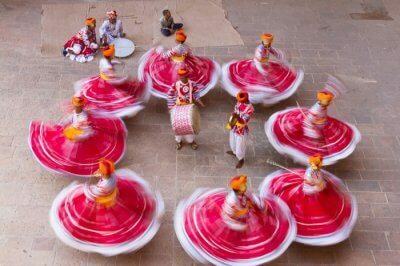 While you’ll already be in awe of the town during the Pushkar Fair, here are some of the top places which you must definitely explore to see the what makes this town a true marvel. 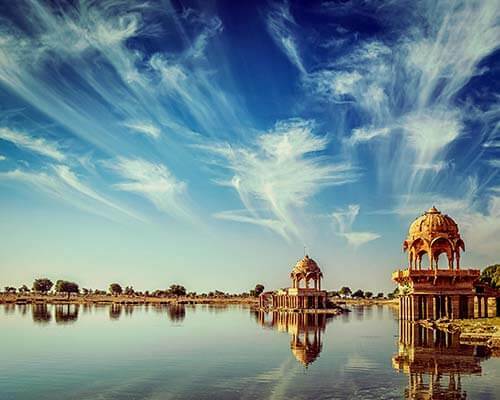 Renowned as one of the most sacred lakes in Rajasthan, this place is a paradise for every type of traveler. The serenity encircling the lake is worth experiencing, and so it the beauty of watching the sunset and sunrise from here. 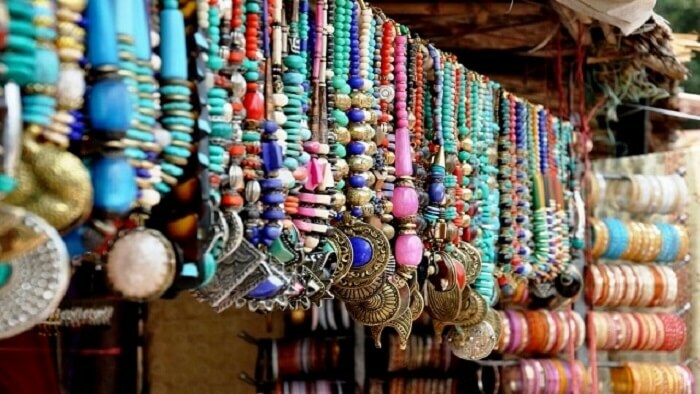 Apart from the Shilpgram Bazaar in the Pushkar Mela, the Sarafa Bazaar in the town is one of the best shopping places in Pushkar to visit if you’re a Shopaholic at heart. It offers a variety of items like the Rajasthani costumes and puppets, embroidered fabrics, souvenirs, bangles and beads, decorative pieces, curios, embroidered shoes, glass lamps, bags, and more. A perfect blend of Mughal, Rajput, and South Indian architecture, this temple is an extraordinary site in the town of Pushkar. 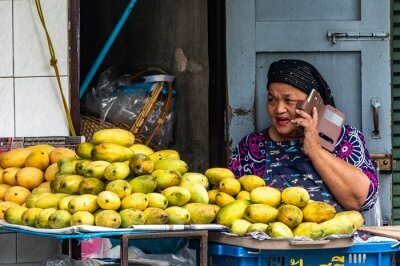 Since it is devoted to an incarnation of Lord Vishnu and is in close proximity to the old markets, it usually stays crowded with innumerable worshippers. Being a hill that divides Pushkar from Ajmer, and is rumoured to disappear with time, Naga Pahar is a top tourist attraction in the town. 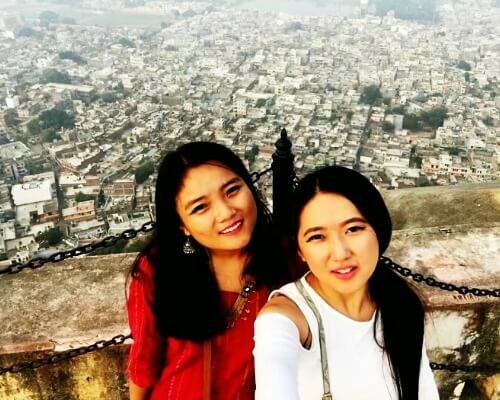 Apart from sitting by the Nag Kund here, you can also admire the breathtaking view of the town from here and capture memories on your camera. 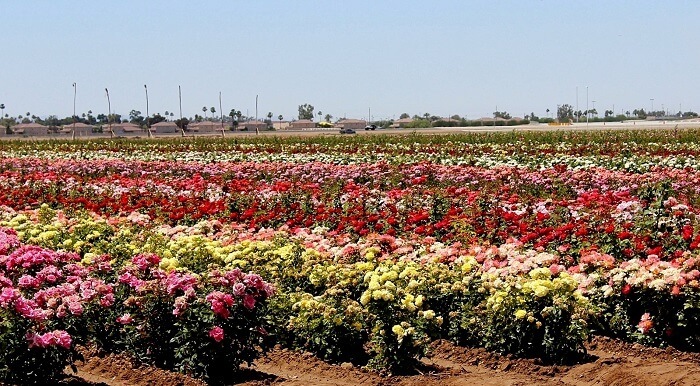 Pushkar is famously known as the ‘rose garden of Rajasthan’ and so there is every reason why visiting the beautiful land with zillion number of roses is a must thing to do. 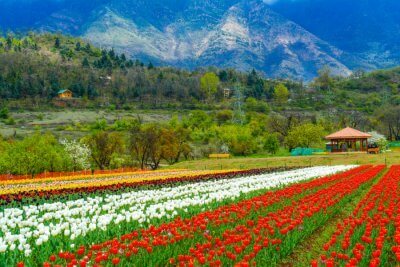 The fragrance of these flowers is captivating, and the beauty is breathtaking. 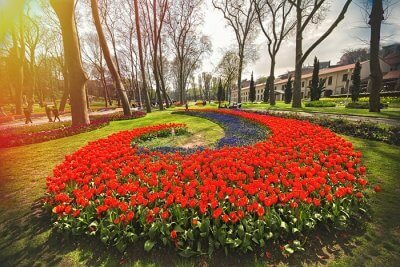 Definitely a paradise for nature lovers! 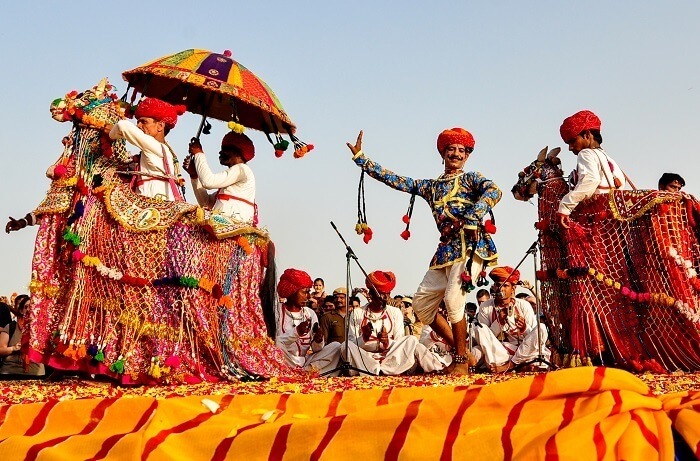 What Are A Few Tips For Visiting The Pushkar Fair? Make sure you book your tickets well in advance, and also the camp to get the most traditional experience during your visit. The Harmony Marathon is a great initiative. Do try and be a part of it to add some thrill to your holiday. The Shilpgram Handicrafts Bazaar is a haven for Shopaholics, and is home to the best Rajasthani souvenirs. Do visit and shop your heart out. Don’t forget to carry your medicines, a mosquito repellant, and a torch. 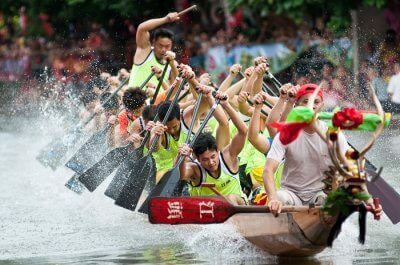 Participate in competitions that interest you and indulge in fun to get a closer glimpse of the fair and its festivities.